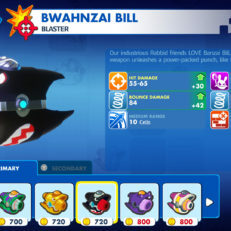 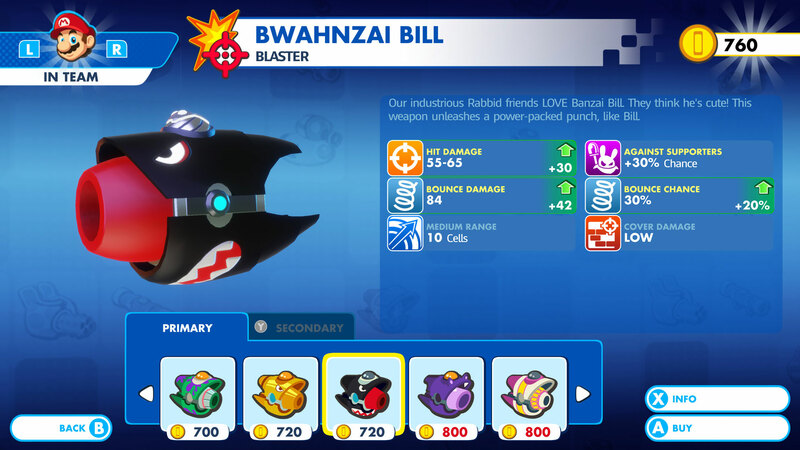 Mario and his friends will use hundreds of never-before-seen weapons to strategically take out enemies in true Rabbids style – with the occasional well-timed misfire. 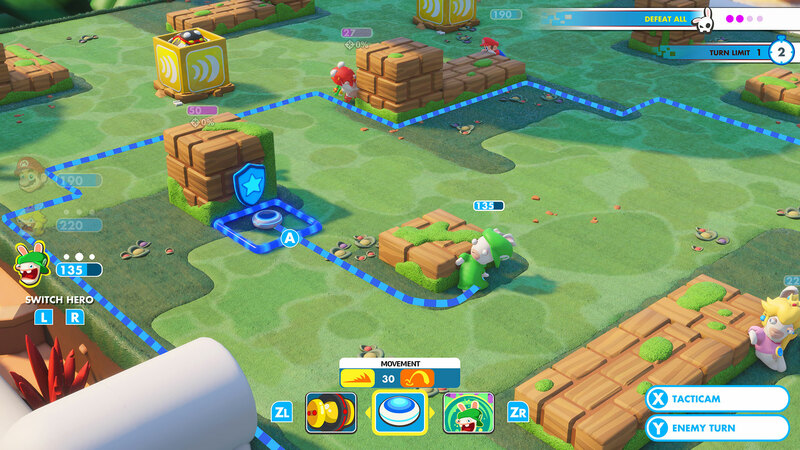 Players will use turn-based combat to strategically move their heroes across the battlefield to gain higher ground, utilize the pipe system and destructible environments, and receive a friendly boost from their teammates to get into their optimal firing position. 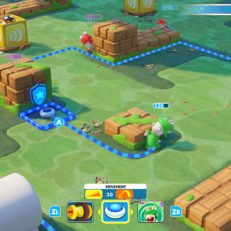 Utilizing combat tactics and the cover system, players will explore the four unique worlds with their team of heroes defeating foes, gathering collectibles and solving puzzles along their quest. 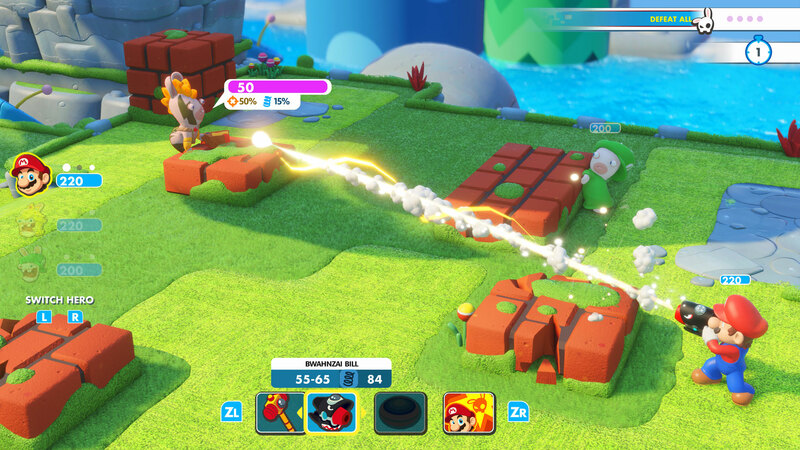 In the main campaign for Mario + Rabbids Kingdom Battle, players will form a team of three unique characters, customizing their abilities via each character’s dedicated skill tree to form the perfect trio. 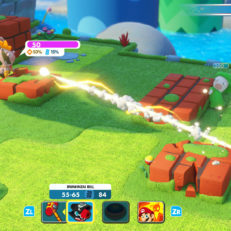 In the game’s additional co-op challenges, players team up with a friend in local multiplayer, where they’ll play three levels of difficulty, taking on adversaries as a team. 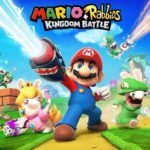 Mario + Rabbids Kingdom Battle will take advantage of the ability of Nintendo Switch to be played anywhere, anytime and is fully functioning on the go for both solo and co-op players.